Perhaps Taylor Swift saved Formula One in America after all. Or great weather did. 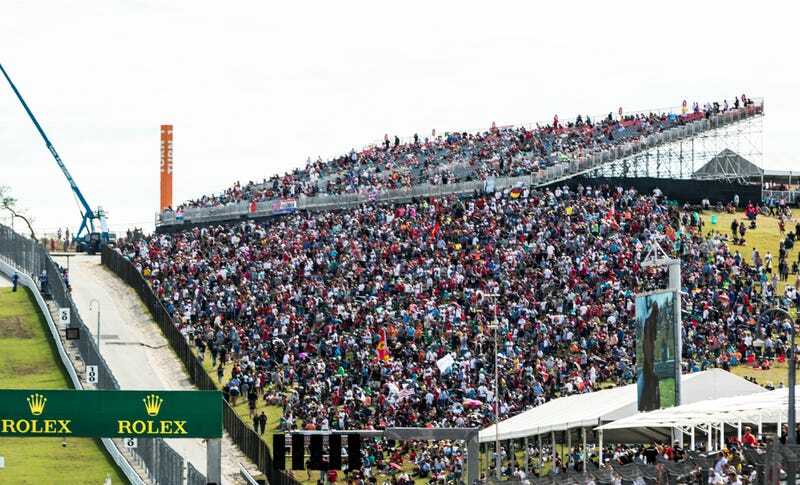 Either way, this weekend’s United States Grand Prix in Austin was a smash success, the most attended race of the five times it’s been held. Moonlighting over at Autoweek, our own Alanis King reported from the scene 269,889 people attended the festivities over a three-day period. That’s about 4,000 more than even the race’s inaugural weekend in 2012, and considerably more than the flood-soaked disaster of 2015, which only drew 224,011 fans and cast serious doubt on the race’s future. Indeed, for a while the U.S. race was even listed as “provisional” on an early 2016 calendar. Luckily for those of us who want to see one of the world’s best race tracks—and one located in my own backyard, no less—succeed, this past weekend proved to be the hit F1 needed. The race itself may not have been much of a thriller, but until now attendance had been declining with each one. New F1 chairman Chase Carey has expressed a desire to grow the American fanbase, leading to questions about holding multiple races in the United States. However, Ecclestone is unsure that getting another race in the USA would be possible, having tried to get the Grand Prix of the America in New Jersey off the ground in recent years. “I think it will be difficult to get more races [in the U.S.]” Ecclestone told Reuters. “I tried in New York. The trouble with the Americans is you want to do a deal with them and they want guaranteed profit before they start. Good attendance numbers in Austin won’t fix everything, but they’re a start.